Purchase this listing along with any jewelry listing to order gift wrapping for the item purchased. This listing is for gift wrapping one item only. If you purchase two items along with this listing then BOTH of the items will be placed in the same box and wrapped. If you wish to have both items wrapped separately then you will need to select a quantity of "2" in the pull down box and purchase 2 of these listings. 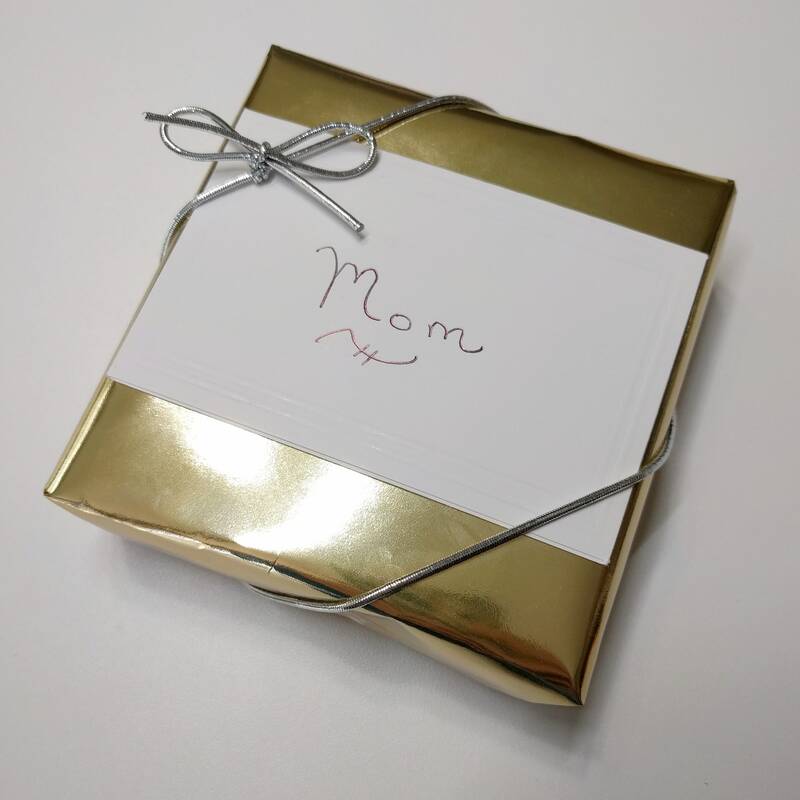 The item will be placed in a box and wrapped using gold wrapping paper. A ribbon will be added to the exterior of the box. If a message is requested (please email me the message or write it in "Add an optional note" box at checkout) it will be written on a white 3.5 x 2.25 inch card. The card will be secured to the outside of the wrapped box.